Butter dense chewy bread. 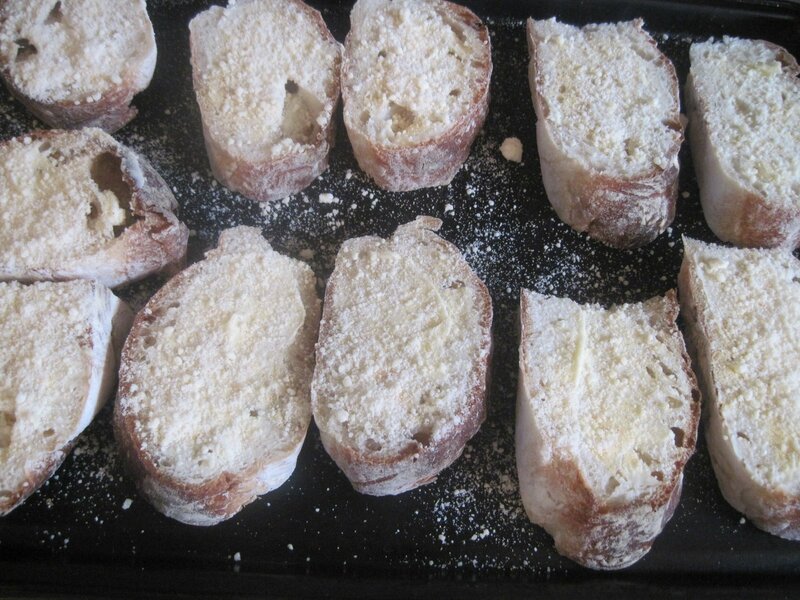 Sprinkle garlic powder or add pressed garlic to butter, top with Parmesan Cheese. 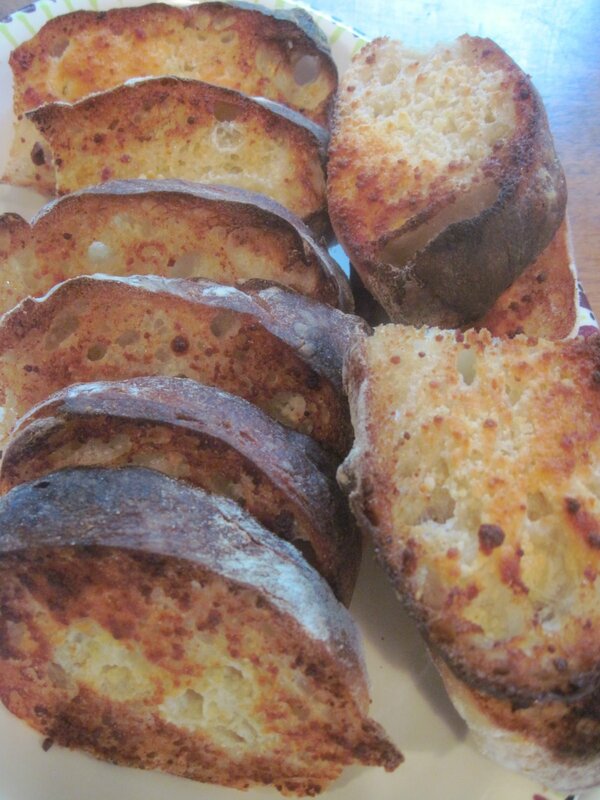 Toast under broiler until crispy brown, keep a close eye on it, browns fast!